The problem with Western politics is that the political class are too invested in the “State”. There was a time when to use a Marxist phrase politics was a petit-bourgeois activity. The players were like bankers and lawyers mere flunkies of the capitalist. At that time the political system was set up to efficiently manage the capitalist economy and ensure the competing needs of the big players, the landowners and men of capital, could have their differences reconciled without taking up arms. The whole process worked so well that by the 1750’s the British Empire spanned the globe bringing trade that would eventually liberate people from poverty and disease. The 17th and 18th centuries were the period when a free people and a free capitalist class drove up economic value in such vast amounts that London was so wealthy it became a city of expensive architectural marvels. The Law Courts in London, the Naval HQ at Greenwich from where the Empire was policed and the end of slavery enforced, and of course Parliament itself. The Capitalist political model was adopted elsewhere in the world, notably the UAS signifying the success of the Bourgeois revolution…..or as it is known in Britain the “Glorious Revolution”. Politicians were there to promote and protect this capitalist model and secure its future. The Monarch has by this time acquired a purely symbolic function and has discharged this role competently right up to the present day. And long may that part of the State continue. It is the least problematic part of the British State by a country mile. The problem is that the capitalist model is now defunct! Lets stop there and think about that. How is the capitalist system defunct? Well to be capitalist, capitalism has to produce economic value by combining things like land and labour thus creating Goods and resources that can be traded for money. This money builds up as wealth. This wealth enables the rich to pay taxes and the state to function in the interests of the economic players the Capitalist and Landowners, and by the 20th century the workers too. If we accept this definition of capitalism, capitalism has had its heyday and has been replaced by the debt dependent “free market”. The free market was an important element of the Capitalist system. Based on Contract, Choice and Consent it allowed “trade” to flourish. However without the economic underbelly of “capitalism” it has spawned a virulent form of immoral consumerism driven by debt. This consumerism is unsustainable, planet destroying and will eventually, like capitalism itself fail spectacularly. When this happens, and unless we prepare for a properly democratic “managed decline” involving ordinary people making decisions about their future, we are likely to lose the elements of Contract, Choice and Consent that were the kingpin of the last three hundred years of trade, freedom and democracy and find ourselves governed by an indifferent elite. Worse than now trust us! So how do our modern western politicians fit into this doomsday scenario? Well as we said at the beginning they were originally there to promote the interests of the bourgeois economy and that bourgeois economy paid for the state and therefore paid them and those who administered the State. Now of course the State pays for them with no bourgeois economy paying for the state. The State pays for almost everything else too. To meet its obligations the State relies on debt. With the State indebting us up to our ears and ordinary taxpayers indebted up to their ears too, paying taxes on a salary that relatively speaking would have been too low to tax by 18th century standards, we are all paying hand over fist to keep a political, public sector and “free market elite” in well remunerated work but for no discernible reason. Frankly the old the young the taxpayer the planet and the indebted can no longer afford to support this outdated system. 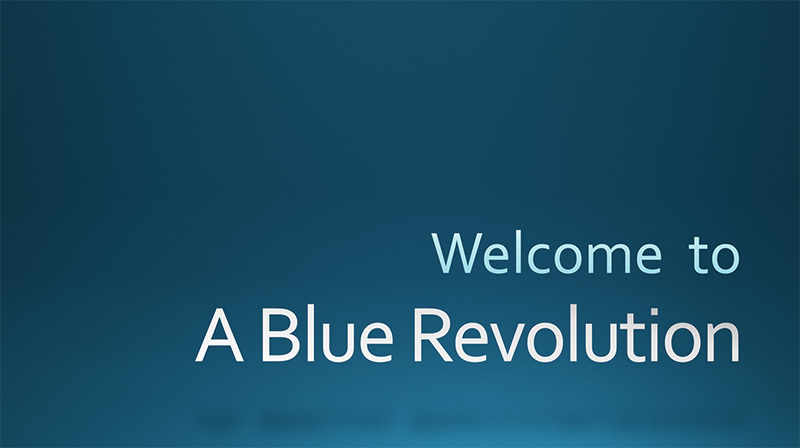 Blue Revolution says “move over State elite and let the people take over, it’s our country and it’s our planet”. What do you call it when the taxpayer subsidizes production from land…………..? Well it’s not feudalism? What do you call it when the ordinary tax-payer subsidizes labour? well it isn’t socialism? So what is it called when the ordinary taxpayer subsidizes capital? Well its not capitalism and it is probably the biggest rip off in world history. The land, the poor and the planet, are having to pay the price!! 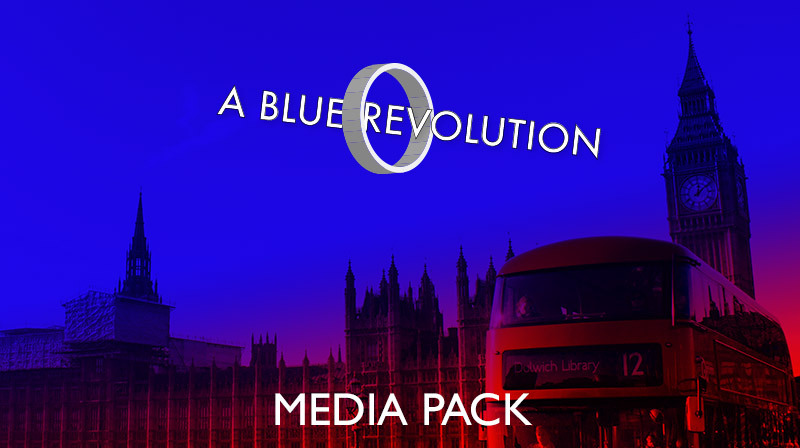 We need a planet saving, freedom promoting and capital preserving Blue Revolution! This issue of the relationship between society and its means of production is elemental to our understanding how and why the world is as it is today and the likely success of the competing ideologies that are starting to wrestle for influence or supremacy in a world made fluid by the end, through bankruptcy, of the anglo/US two hundred year old trading hegemony. How does it work? Well Feudalism is the theft of land value by an elite. The system has some legitimacy because only the elite are capable of maintaining order and thus making this economic model work. However once the land is subsidised by government it marks the end of land related authority. Should the land be subsidized? probably not! But neither should it simply be monetised by house building. This turns land value into cash for the few and not for the pleasure of the many. Beyond land based economic models we move to Capitalism and its massive productive output. Workers paid wages to enable them to create economic value for the capitalists. The Capitalists have supremacy. The State and the wage bill is paid by them but they still get a good return and political power. Socialism by contrast takes much of the Capitalists value and turns it into state expenditure. Subsidizing labour to the tune of health, welfare and pensions expenditure. Note it is the Capitalist who is paying the bill for welfare on the whole, either directly or via the taxation levied on their workers. Finally the end of this civilised model comes when capitalism can’t support the state or the States “socialist” aspirations and also can’t support itself as an economic system (i930’s then 1980’s and 2007/8 and finally 20??). At that point the Capitalist system is essentially dead and needs putting down but that could lead to social chaos. So the elite seizing an opportunity to make money put it on life support. That life support is a regime of taxpayer funded government and personal debt. The capitalist system is now no more than a valueless free market lantern show of of some of capitalism’s past glories such as “profit”. “Profit” is used to justify wealth for those who consider their wealth to be “legitimately” earned. There is no “legitimate” wealth in this system as the system produces no real value based wealth just debt. The problem as we at Blue Revolution continually argue, is that the values (contract, choice and consent) that two hundred years ago transformed feudalism into capitalism and the values that transformed capitalism into socialism in Britain (health, and welfare), will likely disappear when the final embers of the unsustainable free market go cold. Then what?